The Nokia 6 has now started receiving a new software update with the Android 7.1.1 Nougat in China. The update arrives as software version 00CN_3_170. 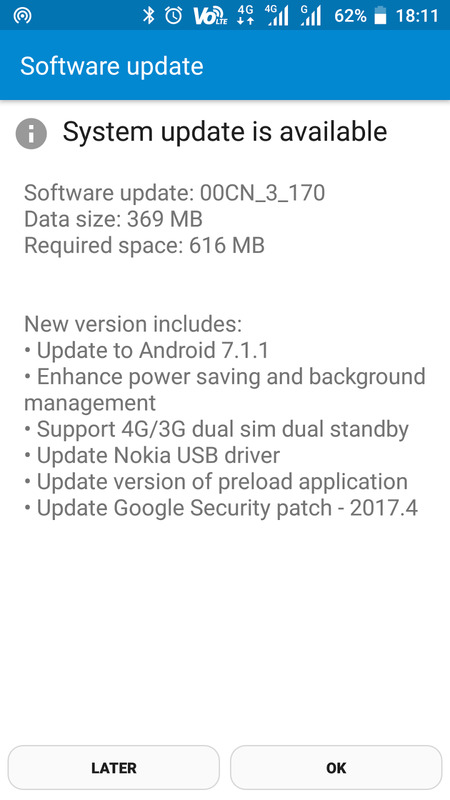 The 7.1.1 Nougat update for the Nokia 6 includes the latest April 2017 security patches, enhanced power saving mode, updated Nokia drivers and all the usual 7.1.1 Nougat goodies like GIF's support, App Shortcuts, and new emoji(s). “Most of the smartphones in the market do not have the Android OS in the way it should be, Vendors are adding a skin on top of the OS. Consumers have the right to have the latest version of the OS, and we will be pushing the latest version and the patches as soon as it is available from Google. We and Google will jointly enhance the Nokia brand to put the right kind of inputs into the phone, including Google Assistant.” said HMD Global’s vice president for the Middle East and North Africa Per Ekman. The Nokia 6 in China comes with near Stock Android and there's no surprise that the new Android-powered Nokia Smartphones will get major OS updates as quickly as possible. 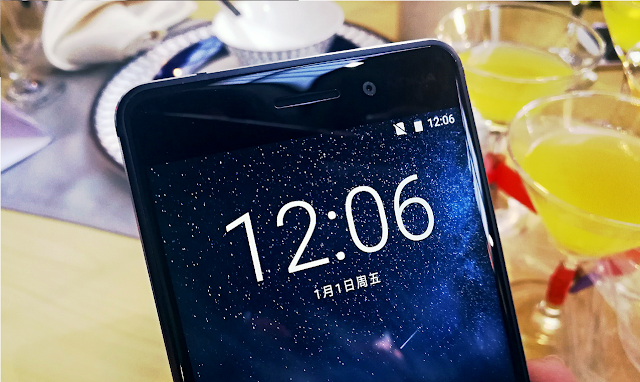 HMD is expected to release the Nokia Android smartphones including the Nokia 6, Nokia 5 and Nokia 3 globally within few months.